‘i smashed my head’ was published in Rabbit. 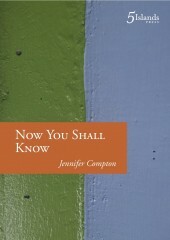 Jennifer Comptom is a poet and playwright who also writes prose. Her most recent poetry collection, Mr Clean & The Junkie, was published by Mākaro Press in 2015 and was longlisted for the Ockham NZ Book Awards. She lives in Melbourne. This entry was posted in NZ author, NZ poems, NZ poetry, Uncategorized and tagged Jennifer Compton on December 10, 2018 by Paula Green. Thanks for sharing these. I put all the names in a hat and drew out Nicola Easthope. I will send you a wee bundle of poetry books. Can you email me your postal address please? Sarah Jane Barnett: Congratulations on your 500th post! What an achievement and also such a contribution to New Zealand poetry readers. The book I’m enjoying at the moment is Joan Fleming’s Failed Love Poems. It’s an intense read and I feel immersed in the characters, especially in the second section. The poem ‘The invention of enough’ blew my mind! Harvey Molloy: One book that comes to mind is Native Bird by Bryan Walpert. It’s such a well-crafted, polished book. There’s a diversity of poetic forms and tones so the work’s quite dynamic. There’s also a certain reticence in places, a skirting around painful issues which I find quite refreshing – – at times emotions are understated and there’s a control and restraint which I find quite moving; the poetry is at times actively self-conscious but never cold or impersonal (for example the poem, ‘Ōakura’). I’ll be coming back to this book. Sian Robyns: Airini Beautrais’ Dear Neil Roberts had me enthralled enraged and weeping. To paraphrase ‘History Books’ (p 43), she admitted Neil Roberts into our histories and gave us a harrowing reminder of the particular awfulness of Muldoon’s New Zealand. Sadly, we still maintain a silence closely resembling stupidity. Can I have two? I also loved Jennifer Compton’s Mr Clean and the Junkie. I loved the story, the sense of place, and that swooping, interfering, conversational, self-aware authorial voice. Crissi Blair: I loved Caoilinn Hughes’ Gathering Evidence which I had from the library after hearing Gregory O’Brien talking to Kim Hill about her marvellous first lines. Congratulations on your 500th post Paula. You are doing a great job at spreading the poetry word! Nicola Easthope: One Aotearoa poetry book I have enjoyed this year (there are so many) is Janet Frame’s The Goose Bath, winner of the 2007 Montana NZ Book Awards. I have come late to Janet’s poetry (having gobbled up her prose at university in the late 80s) and love meeting her flaring imagination and dance of language through poems with apparently innocent beginnings that usually turn, back and forth, between the light and the dark of her life.The entire collection leaves me fizzing and aching with appreciation. These are just a few of my favourite lines in a book of NZ poetry that I have read and re-read this year. Using the metaphor of clouds to express her feelings and to give poetic form to her son. Harvey is at times both confronted and confronting. You would think that over an extended piece you would get tired of the cloud metaphor but it provides a cohesion that allows the reader to trace the ever changing cloudscapes – like watching the weather dance across the city in time-lapse fashion. Every time I re-read her work I garner something new from it. Anyway, thank you for your 500 wonderful posts! Susan Wardell: I stole away from evening toddler-ing duties for a full hour to attend the launch of Emma Neale’s Tender Machines. For the first three days I kept the book lovingly tucked in it’s friendly brown-paper bag, carrying it around in my over-sized, multipurpose parenting handbag, and stealing it out just a few times a day, in the gaps between work-work and home-work, to savour the poems one, or maybe (greedily) two, at a time – along with the salted crackers keeping my ‘morning’ sickness at bay – then carefully replacing it. Parked by the road or outside the house, while my daughter squirmed/sang/ate raisins in the back seat, I cried more than a bit, and more than once, as I read Emma’s poignant, humourous, gentle, and sometimes brutally-true poems about, well… about life. To find something that could capture, without reifying, the beauty and fragility of the mundane and domestic, reading the micro everyday of mealtimes and bedtimes into the macro of our uncertain global times…. it is special. I don’t believe I had ever read what I could call a ‘true’ poem about parenting before I read Emma’s (earlier) work. This collection, too, became a lifeline, another level at which to process my own experience, emotion, as a mother and a woman and a citizen of a broken world. I breathed. It was ok to be human after all. I forgave myself as the book came out of it’s paper sheath permanently and, in the space of only a week, gained nutella fingerprints, sand in the page creases, water bottle stains, and dog ears. I finished it and cried a bit more into the spaghetti, not sure whether to blame hormones or metaphors. This collection is personal in a tender and unapologetic way, political in a raw and thoughtful way, beautiful in a subtle, tangible, heart-lifting way. It is both grounded and soaring; it is both the heartbeat and the wind. It came at just the right moment for me personally, in the way poetry often does. But I am also pleased to think of it’s permanence now, in print; it will remain as a beautiful little signpost in the history, the story, of NZ poetry… should the archaeologists of the future unearth my well-loved copy, they will know us better for it. Kathryn Crookenden: Congratulations on your 500th post for NZ Poetry Shelf and thank you for all your efforts to promote poetry in New Zealand. I enjoy reading the blog, especially the reviews and the interviews with poets. I have enjoyed reading Frances Samuel’s Sleeping on Horseback this year. I got it out of the library twice and then bought my own copy because there were so many poems that I enjoyed and wanted to keep going back to. Through her poems I have travelled with Chinese poets and Russian writers, visited Japan and Latvia in summer, and considered how to draw spires and towers. I like her wry humour and sharp observations. My favourite poem in the collection is ‘Just twinkling in the moonlight’ with its baby ‘all shiny with the moon.’ I’d also like to mention the gardening anthology, The Earth’s Deep Breathing, which has been a good companion for the last few weeks as I’ve been getting my own garden into shape, and Glenn Colquhoun’s The Art of Walking Upright which I read earlier this year – there are some beautiful kuia honoured in his poems. Maureen Sudlow: I am currently reading the collected poems of Ruth Dallas, published by the University of Otago Press, and I am struck again with the breadth and depth of her writing. Some of her work is influenced by the early Chinese poets, and some returns to the strong heritage of her own environment and upbringing. Ruth also includes haiku, which are one of my favourite poetic forms, and which are not often included in general poetry collections. Long green grass grows up between them. That once were full of leaves and sky. The rich variety of her writing brings me back to read again and again. If you have no other New Zealand Poet on your shelves, you must at least have Ruth Dallas. Ruth has gone but she has left a treasure trove of words behind for us to enjoy. Helen Anderson: I am very pleased to have the opportunity to write about C.K Stead’s Collected Poems 1951 – 2006. This was a very welcome gift that has sat beside my bed all year for dipping into. It was published in 2008 and came to me via Hard to Find book store having never been opened! I had the privilege of being in Professor Stead’s classes far too many years ago and reading his text The New Poetic published back in 1964 accounted for my first experience of some understanding of the poetic enterprise. Collected Poems is full of surprises, the range is extraordinary and the collection includes previously unpublished work. It is an ongoing lesson about the power of language to invoke memory, to rebuild perception and to take us beyond our boundaries when crafted by a poet who is serious, playful, cynical and optimistic and an artist. This entry was posted in NZ author, NZ poetry, NZ poetry book and tagged Bryan Walpert, Caolinn Hughes, CK Stead, Emma Neale, Jennifer Compton, Joan Fleming, Maureen Sudlow, Ruth Dallas, Sarah Jane Barnett, Sian Robyns, Siobhan Harvey on October 13, 2015 by Paula Green. Jennifer Compton’s new poetry collection, Mr Clean & The Junkie, is a fabulous read – the kind of book you devour in one gulp. It is a long narrative poem in four parts with a coda. Each section is written in couplets – shortish lines that deliver the perfect rhythm for the occasion. 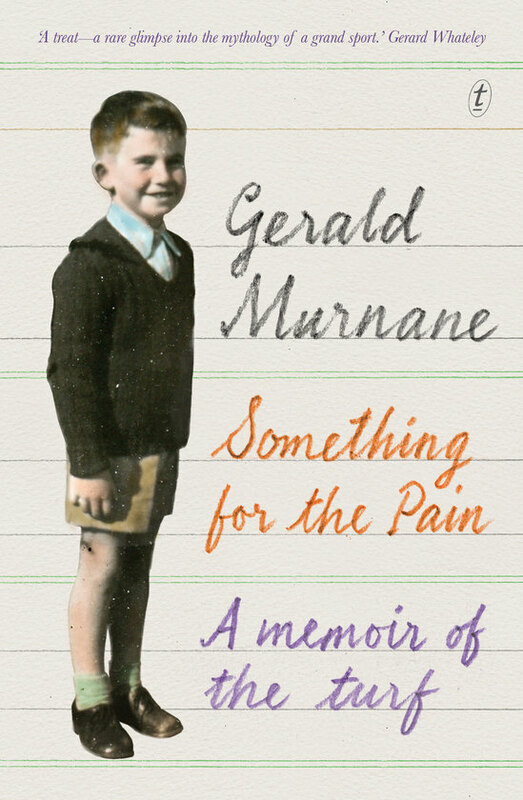 This is a 1970s love story set in Sydney (and briefly NZ), yet it is a love story with a difference. It reminded me a bit of Pirandello’s play Six Characters in Search of an Author, in that the stitching is on show — how you tell/show the story, along with the choices you make, is as much a part of the narrative as plot, characters and so. The difference here, though, it is like a poem in search of a character in search of a film director in search of character in search of a poem. Self-reflexive behaviour on the part of authors has been done to death in recent decades, so it has the potential to appear lack lustre. Not in this case. I loved the way the poetry is a series of smudges. A bit like the way life imitates cinema as much as cinema imitates life. I spent ages on the first page. It got thoughts rolling. I loved the voice. I loved the intrusion of the director (we figure that out as we read) and I loved the way I kept putting the poem in the role of the camera (long shots to gain wider perspective or distance, tracking shots, surprising angles, refreshing views) or the editing suites with jump cuts and smooth transitions. Or sitting back and admiring the composition within the frame. Or tropes. The slow reveal. The two main characters (My Clean and The Junkie) are definitely in search of flesh and blood, yet you can also see this as genre writing – a narrative poem that is part thriller, part whodunit, part crime writing. Then again it is part feminist critique and part postmodern explosion. Our hero is discovered sleeping. We find him as the camera finds him. cleaning his whiskers in extreme close-up. As he dreams we snoop about his habitat. see it from another angle before we reach The End. I imagine ambient sound during the credit sequence. the wheel is there under his paws. looming over our man asleep on his futon. What do they look like? Bars. The writing is tight. The plot pulls you along at break-neck pace and then stops you in your tracks as the director’s voice pulls you out of plot and character with wry stumbling blocks. Little flurries of sidetracks. Or how to proceed? The central idea’s beguiling (poem version of a film version of a love story), the dry humour infectious (after a curtain is pulled back to reveal a spectacular view of Sydney’s Harbour Bridge and Opera House: ‘If you’ve got it/ flaunt it.’). But there is poetry at work here. It is there in the cadence of each line, the end word and the rhythm. It is there in the use of tropes that arch across the length of the book in little delicious echoes. The caged mouse on the wheel stands in for the symbolic cage of the hero (his father’s expectations and life choices). Most of all, however, the poetry sparks and flicks in the white space; the bits that are left on the editor’s floor or the angles that the director chooses not to show. Things are hinted at. Significant events that give flesh to character are caught within a line or two. That white space, that economy, is what gives this long poem its magnetic pull. The collection is released as part of Mākaro Press’s 2015 Hoopla series. The beautifully designed books share design features and size, and include a new poet, mid-career poet and late-career poet. The other poets this year are: Carolyn McCurdie (Bones in the Octagon) and Bryan Walpert (Native bird). Jennifer is an award-winning poet and playwright who has lived in Australia since the 1970s. She has won both The Kathleen Grattan Award for Poetry (This City, Otago University Press, 2011) and The Katherine Mansfield Award. Reading Mr Clean and The Junkie is entertaining, diverting, challenging, laughter inducing. How wonderful that a poetry collection can do all of this. I loved it! This entry was posted in NZ author, NZ poetry, NZ poetry, NZ poetry book, nz poetry review, NZ Poets, Poetry and tagged Jennifer Compton, Makaro Press on September 29, 2015 by Paula Green.